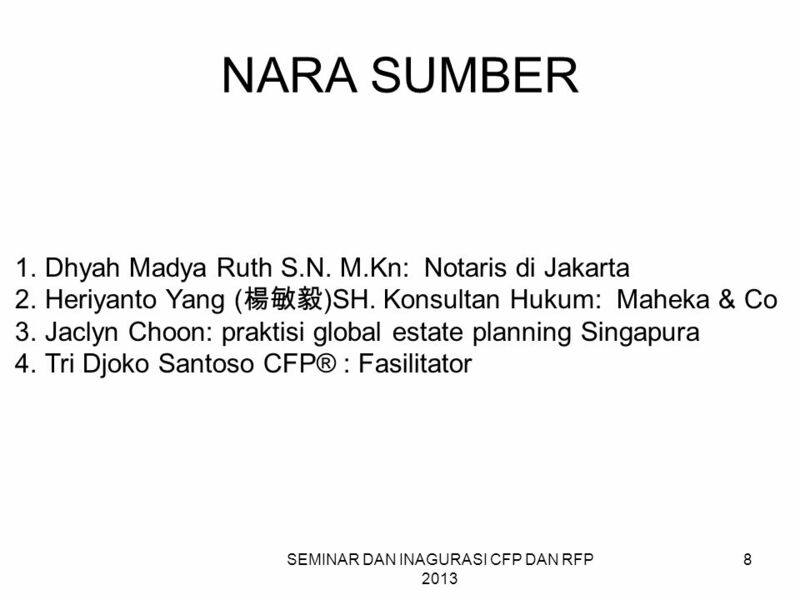 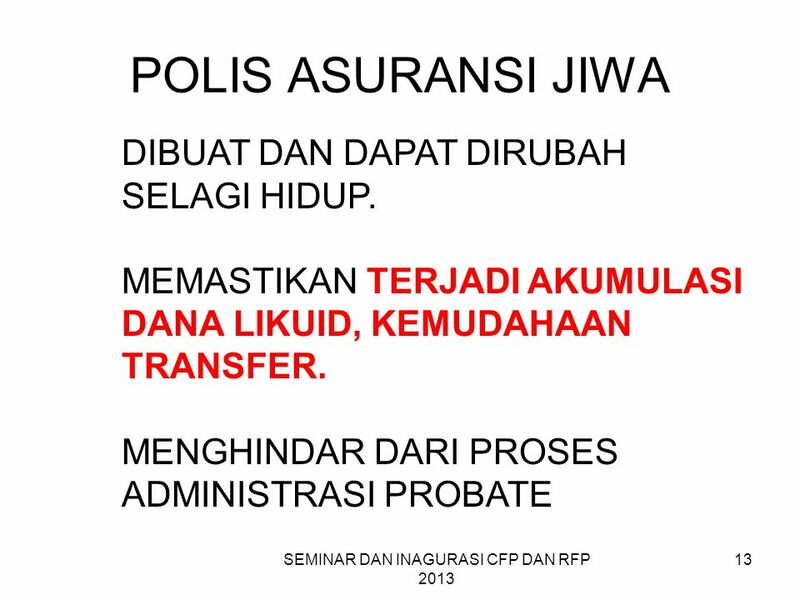 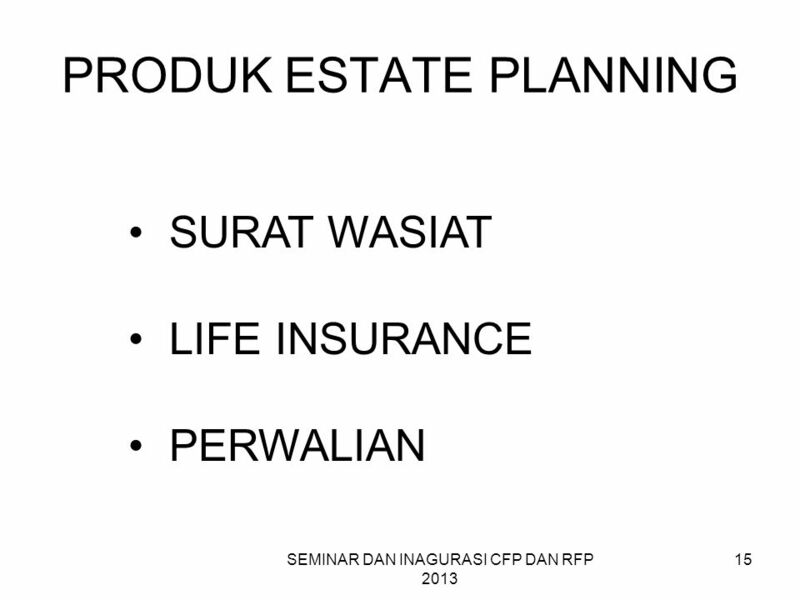 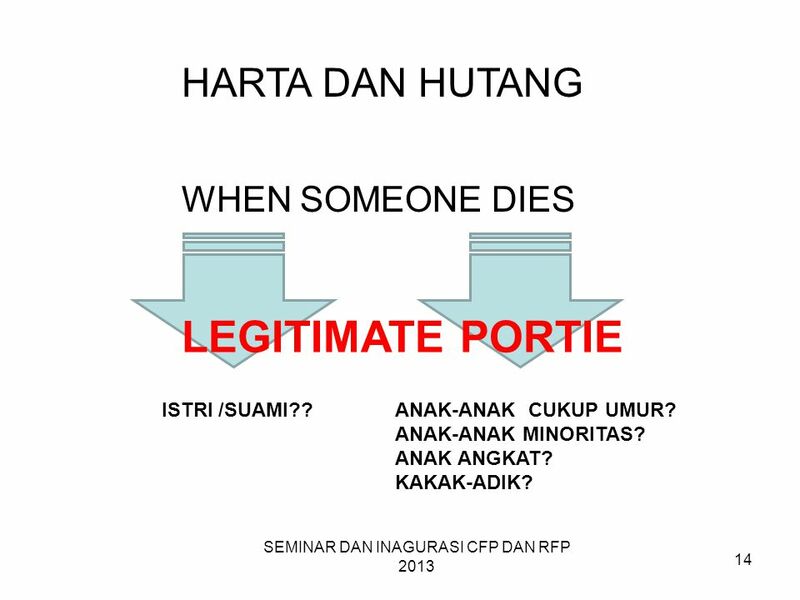 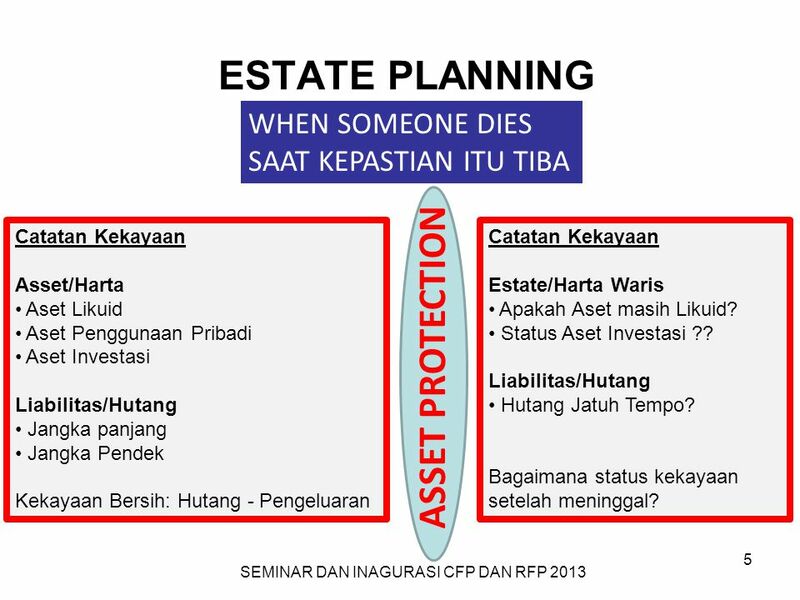 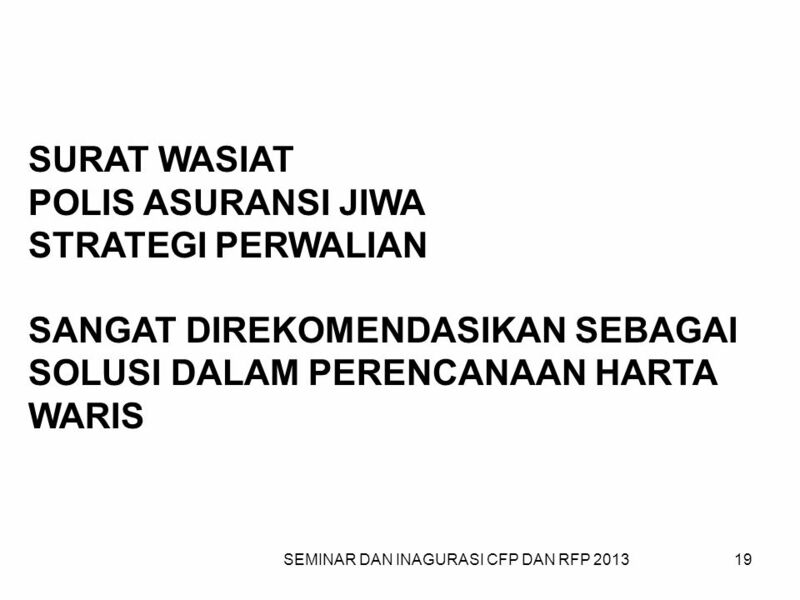 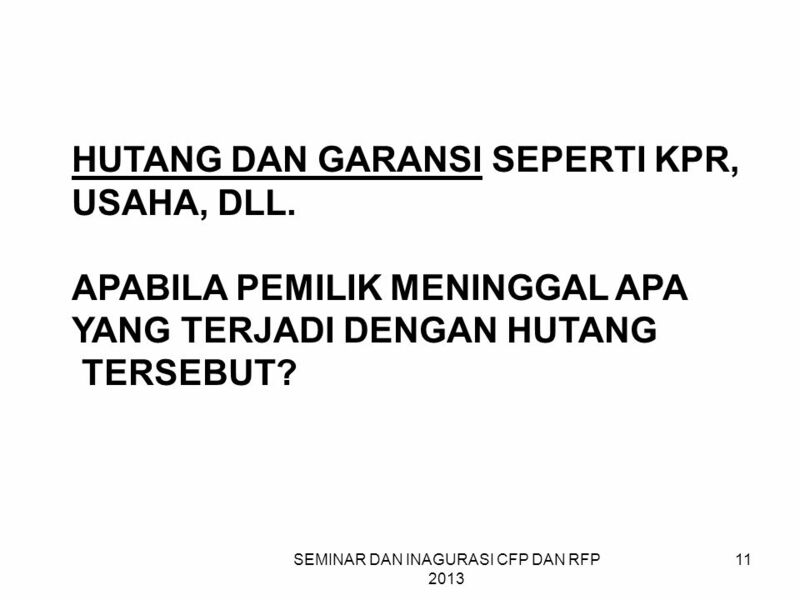 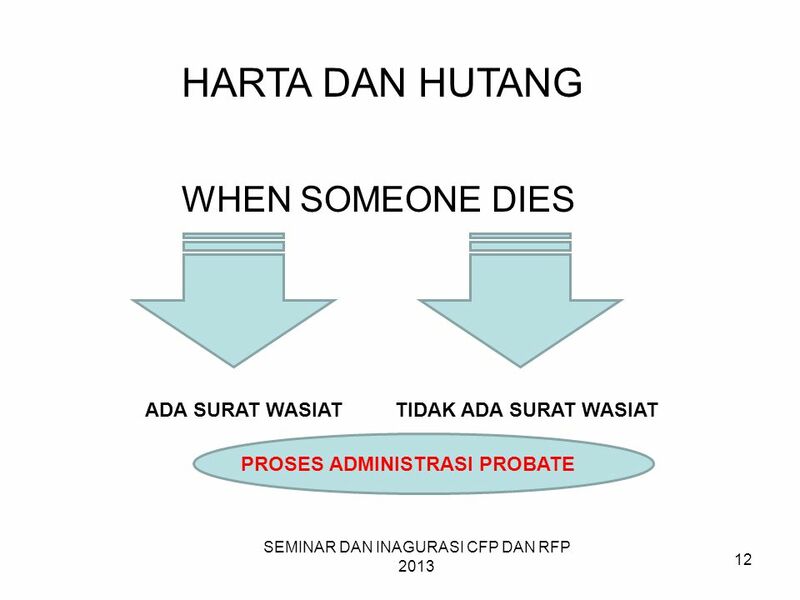 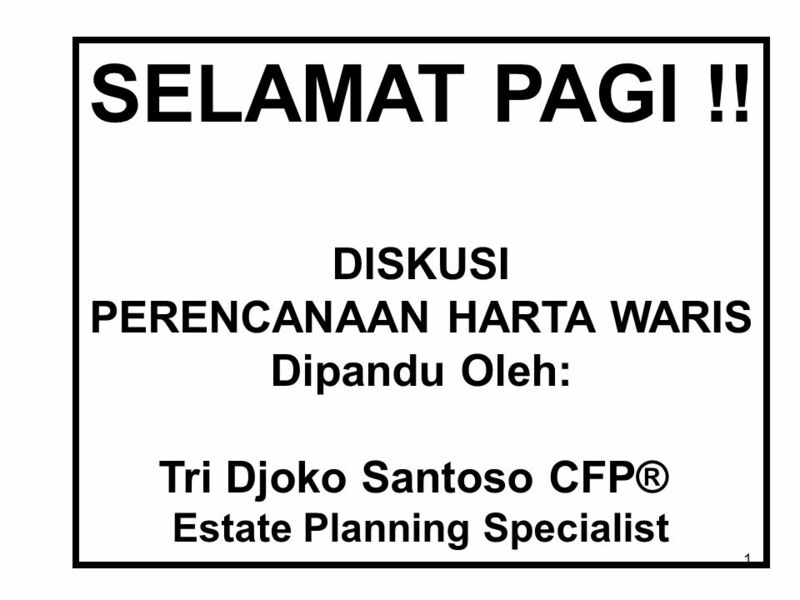 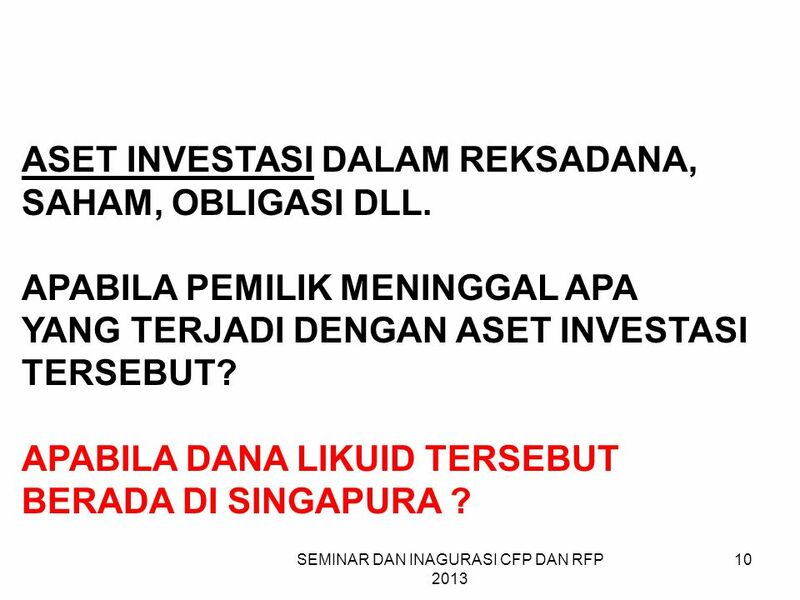 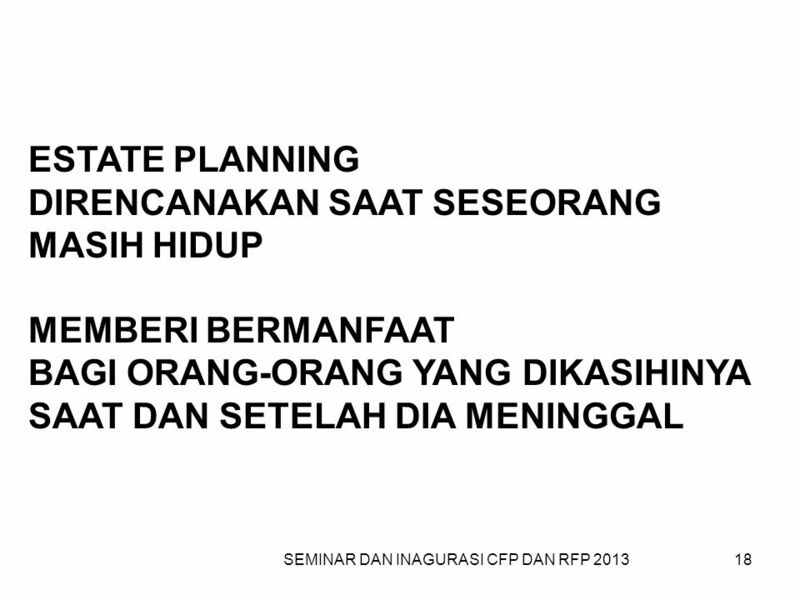 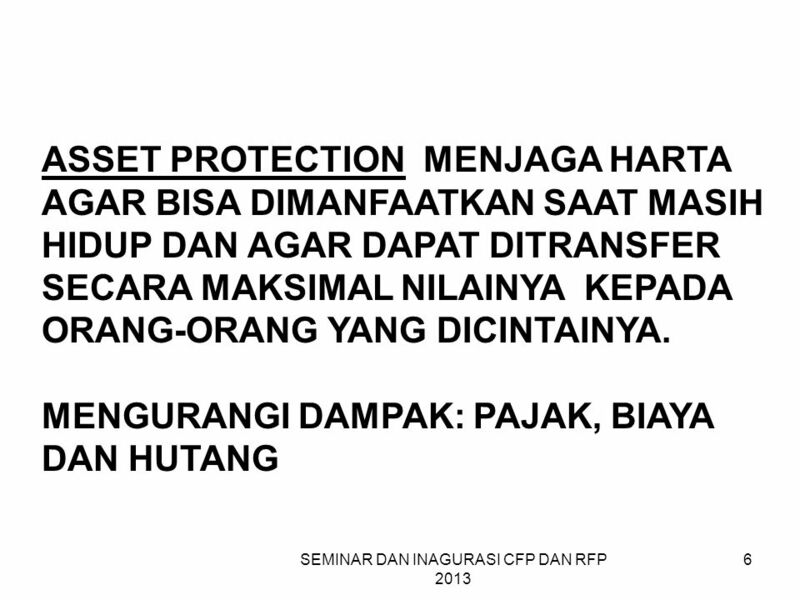 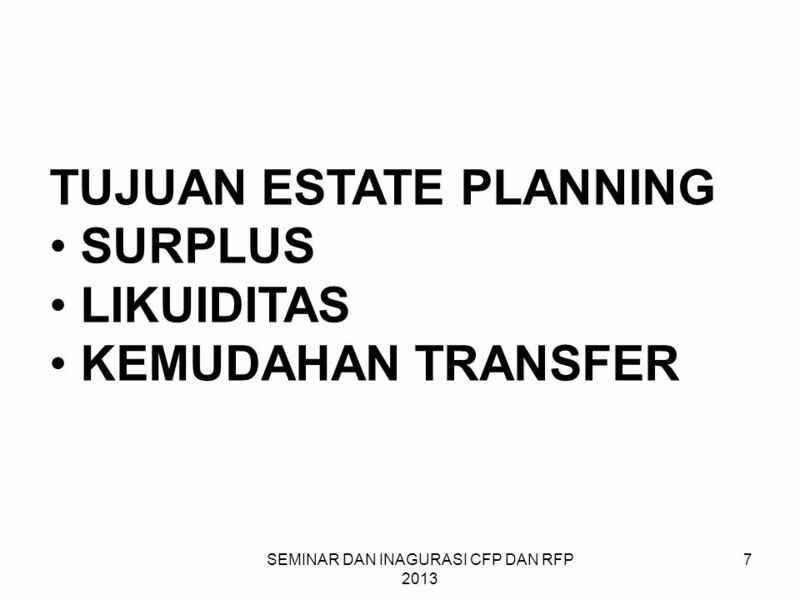 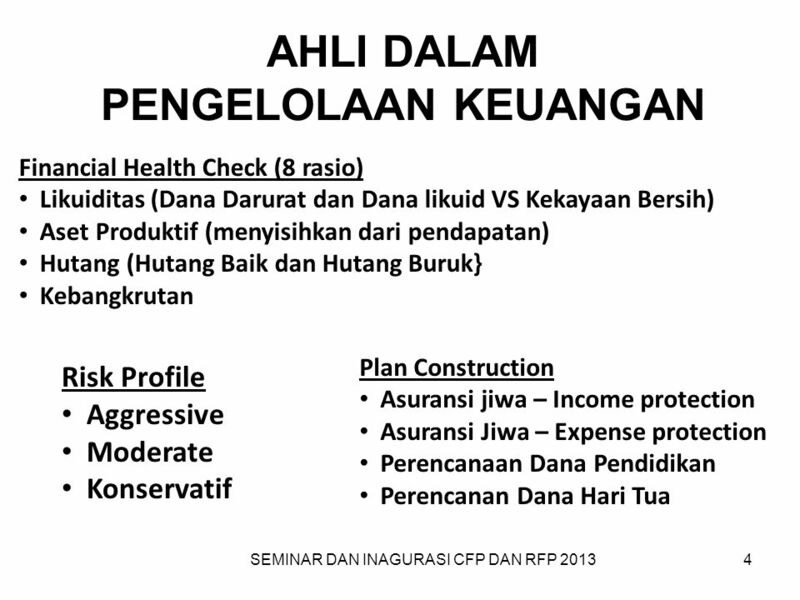 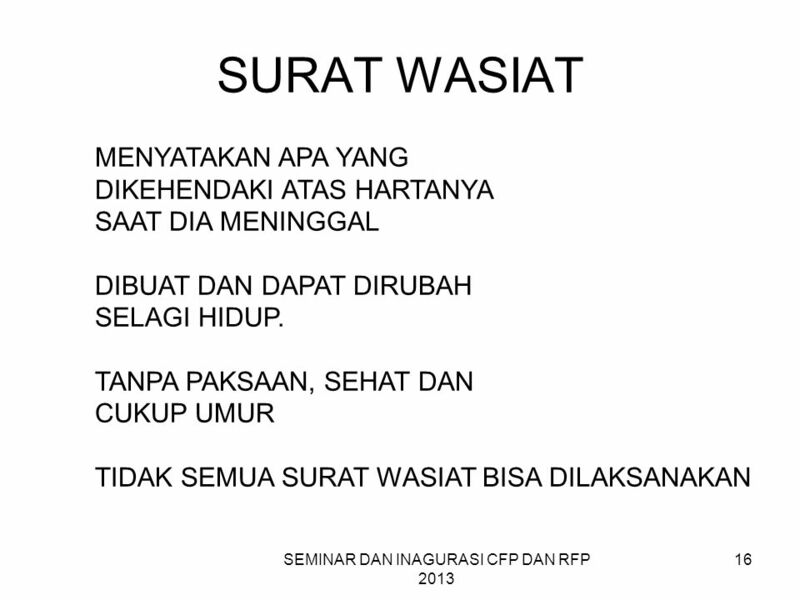 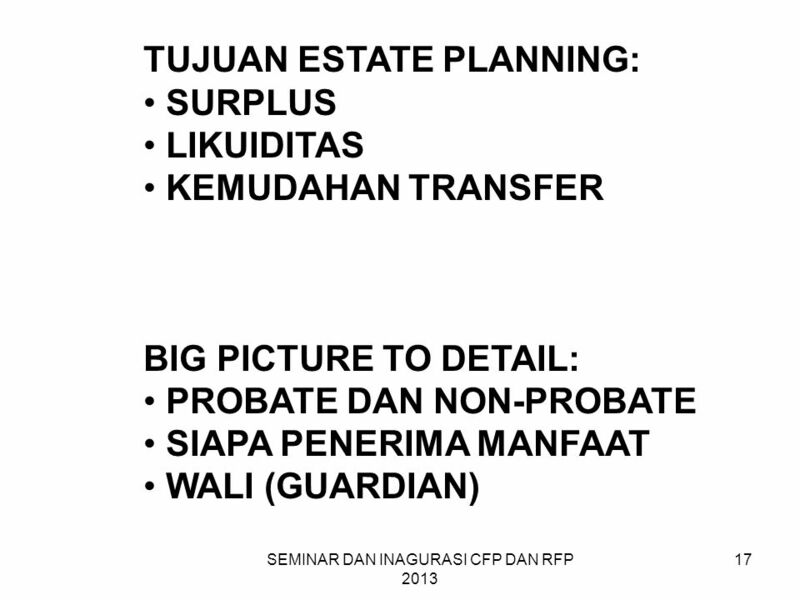 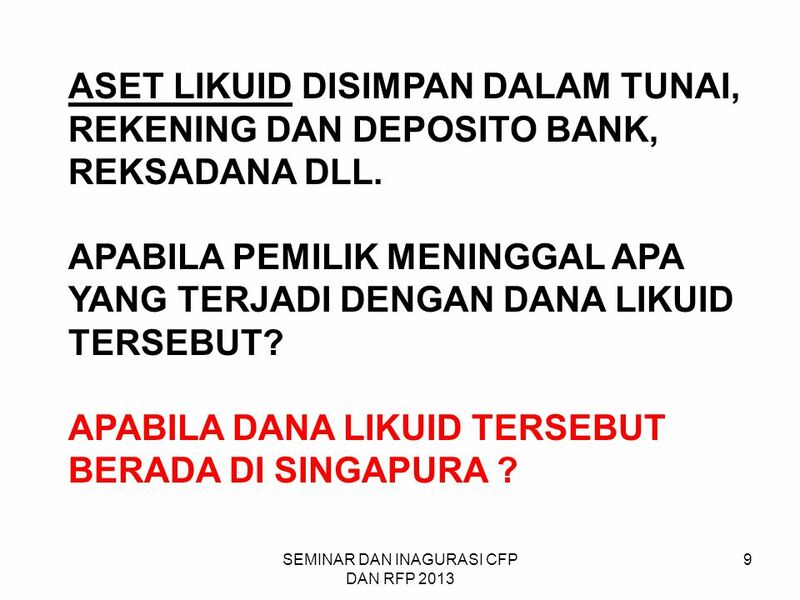 Download ppt "PERENCANAAN HARTA WARIS Estate Planning Specialist"
Presentation to …… Jakarta, 1 Mei 2008. 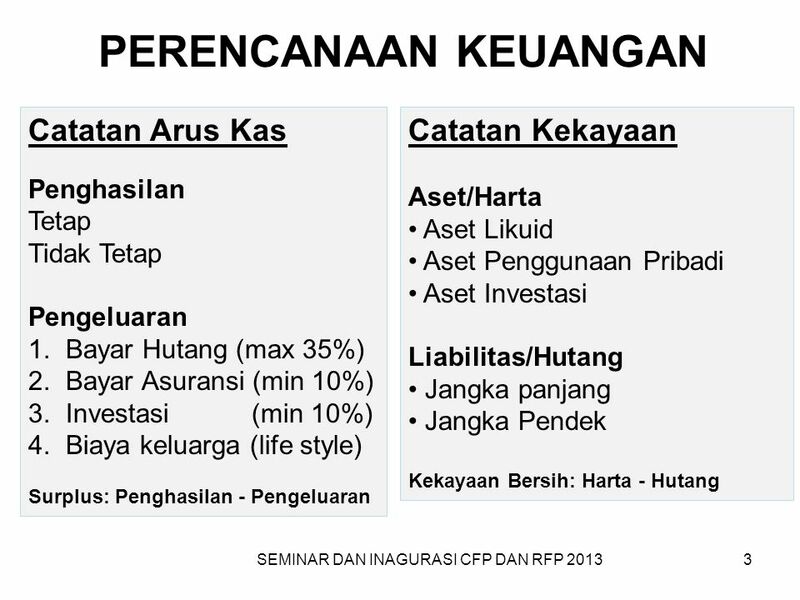 Perencanaan Keuangan (Wealth Planning Session) Bagi para Expatriate di Qatar 8/21/2014By Defiandry Taslim1. 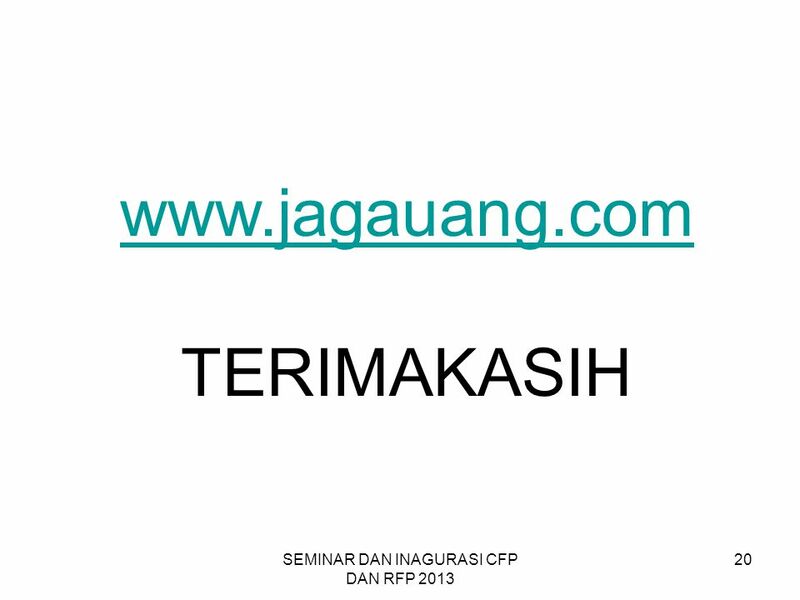 CERTIFICATE OF PROFICIENCY PREPARATION PROGRAM LISTED MENTOR - GUIDE FOR MENTEES 2013 COP ACADEMY POWERED BY LN. 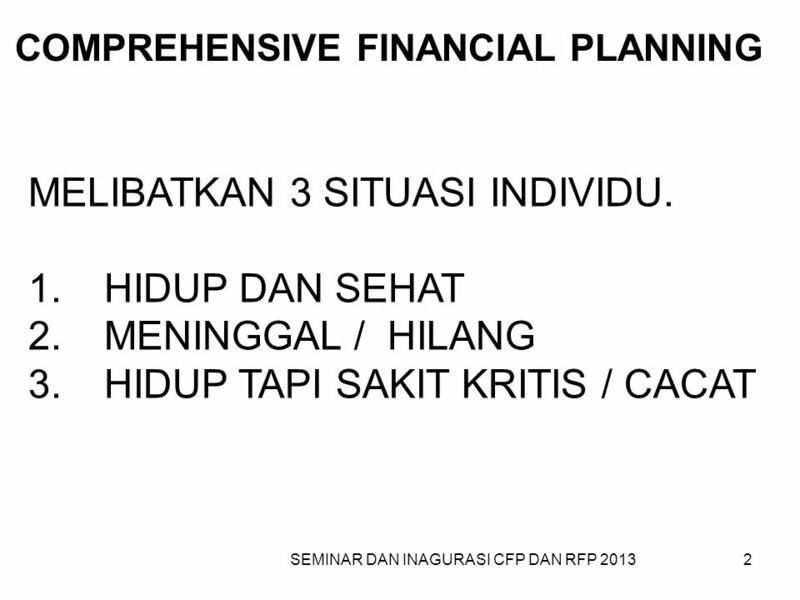 1 TheBalanceSheetand NotestotheFinancial Statements The Balance Sheet and Notes to the Financial Statements chapter 3.